A new site, the same Trout Hotel. 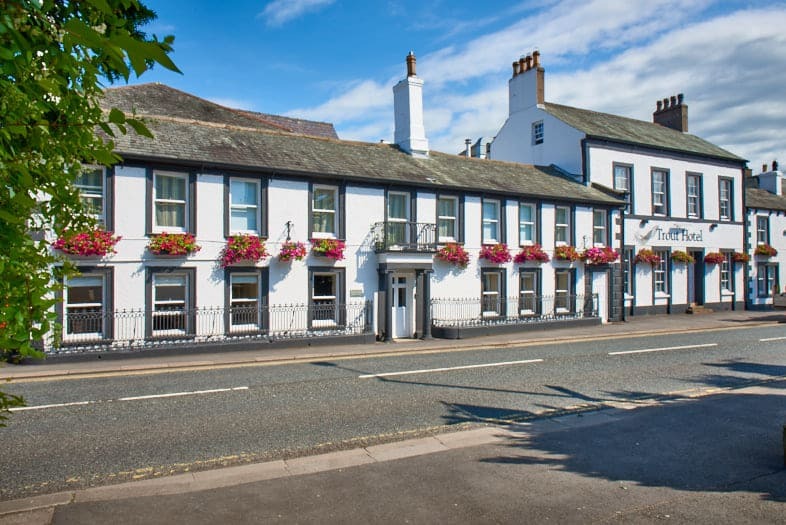 We have been working hard conjuring up how we wanted our new site to look and feel, but in the end we envisaged a site that would better tell the story of the hotel and allow our customers to have the most user friendly online-visit possible. We wanted a sleek, sophisticated website that most truly reflects our professionalism and flair here at The Trout. Our last website was launched in 2015 but we felt that over the last two years, we have come a long way. We’re now ready to stand up and shout about our recent awards, achievements, and highlight the many treats that we have to offer customers! We have opted for a more sophisticated layout and an easier booking system on our new site, allowing you to more conveniently book a table with us in your choice of one of our two restaurants, and also when booking a room – making sure you book the perfect room for your trip. We have also given our ‘Rooms’ pages a bit of a makeover as we wanted to display the most up-to-date and true-to-life representations of our 49 elegant bedrooms for our visitors. Since our old site launched we’ve had the photographers in who successfully snapped up some gorgeous new photos of our chic rooms and what better place to display them then on a sleek new website. But don’t panic! We haven’t lost sight of our core values and we still put emphasis on being a friendly, welcoming and memorable hotel in the Lake District. Our team are still as attentive and driven as ever, wanting you to have the most memorable visit imaginable when you do decide step through our doors. So, we invite you to take a tour around our new blog, bookmark our website and let us know what you think by connecting with us on social media. This is also where we post exclusive offers and deals, so make sure to keep an eye out on our Facebook, Twitter and Instagram pages! We will be updating this blog on a regular basis to keep you in touch with all the newest updates from the Trout Team. Enjoy the site and hopefully we will be welcoming you soon!